Richard Aldrich, ed. Public or Private Education? Lessons from History. Sheppard, George. 2006. “Richard Aldrich, Ed. Public or Private Education? Lessons from History.”. 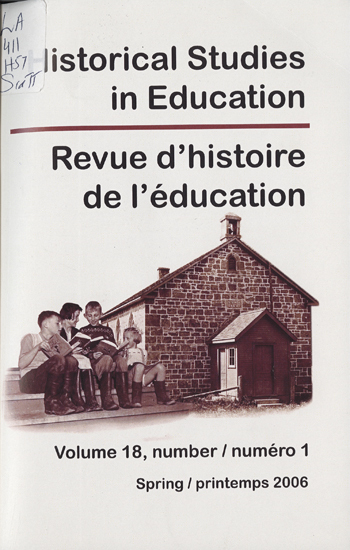 Historical Studies in Education / Revue D’histoire De L’éducation 18 (1), 120-23. https://historicalstudiesineducation.ca/index.php/edu_hse-rhe/article/view/413.